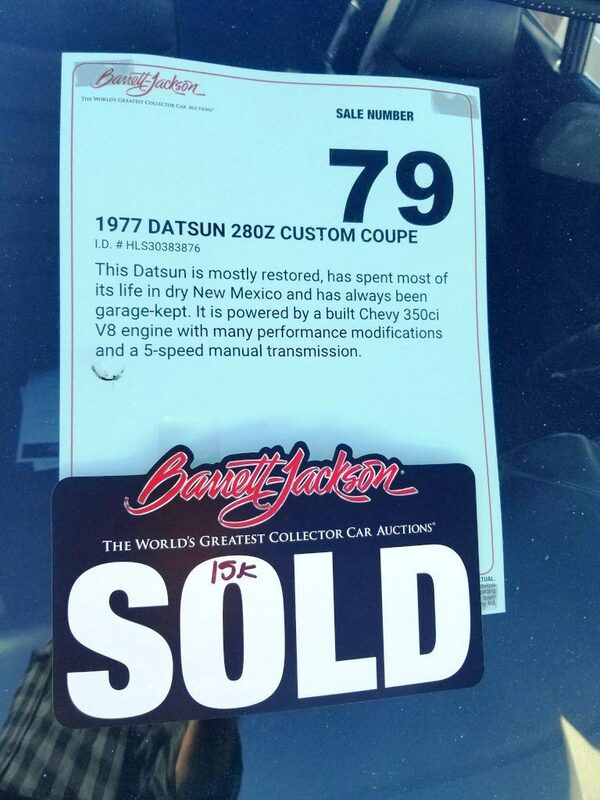 Lot #79 represents another 280Z from the “malaise era” of the S30 – The big-bumpered fuel-injected cars. This one bore what appeared to be a recent paint job in bright metallic blue (Bayside Blue, anyone? ), with the hood bulge painted black. 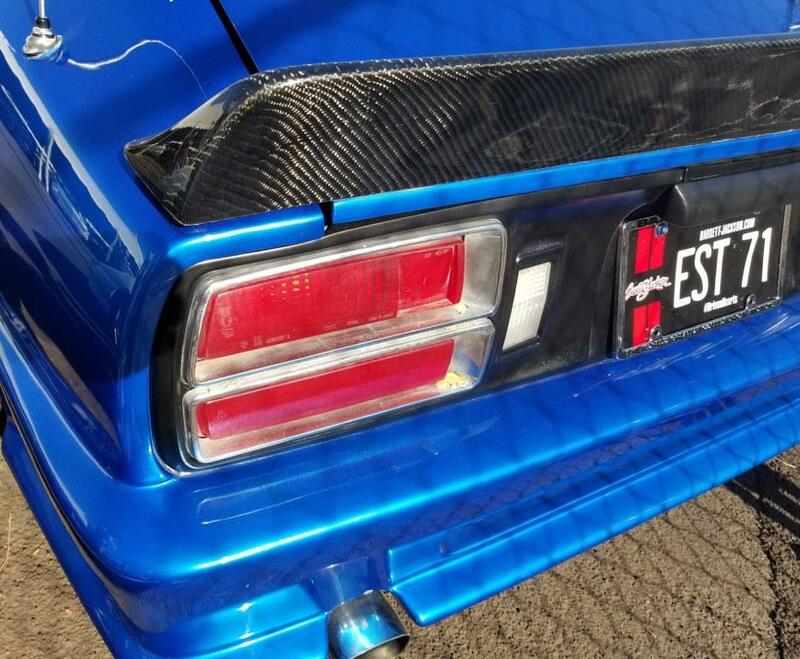 The big bumpers had been removed in favor of a fiberglass body kit, which included side skirts and an oddly out-of-place carbon fiber spoiler. Aftermarket projector headlights always seem awkward on a 70-78 Z car, but for the Z owners who haven’t yet discovered wiring their headlights through a relay, it’s an improvement upon the dim factory glass halogens. A set of iron cross wheels may have been a slight upgrade from the original steelies back in 1983, but this was a zero-effort addition. Even a little paint or polish would have helped. Instead, the dull wheels simply emphasized the recency of the paint job (and the 1977 ride height). This car’s saving grace: A carbureted, small-block GM V8 swap. 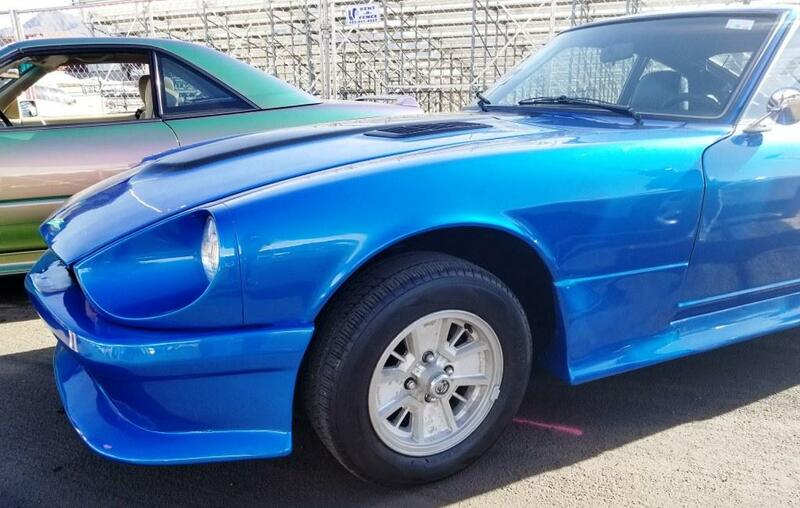 Headers, a 4-barrel, and electronic ignition probably get this Z down the road with a quickness, but one has to wonder if anything else was done in preparation for the swap – after all, the hood latch and the distributor clearly aren’t getting along very well. The minimal description refers to “many performance modifications,” but we’re left to guess what those might be. A 5-speed manual transmission is alleged, but the shift boot didn’t make the journey to Scottsdale. The seller alleges that the car has always been garage-kept, but we’re not sure for how long. 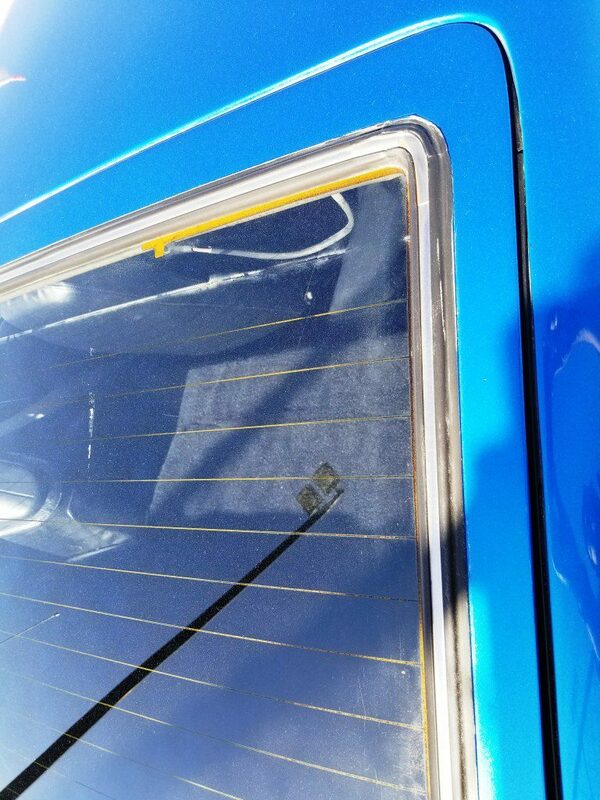 The placard on the window states the car is “mostly restored,” and anyone who’s restored a Z knows there’s a lot of work involved. Most troubling? The overspray, poor masking of old, brittle rubber, and a complete disregard for the peeling chrome taillight surrounds and dull, scratched lenses. 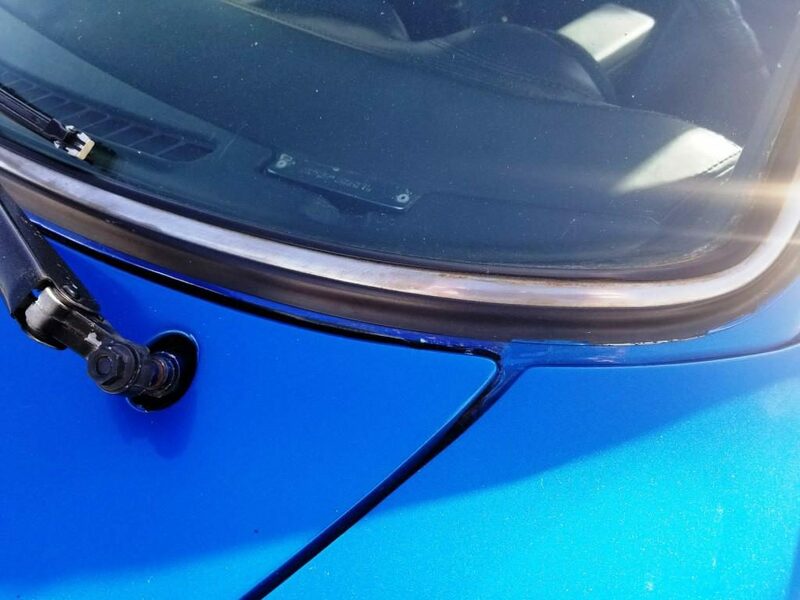 Given these issues, I’d describe this car as “repainted,” not “restored.” Replacement rubber is readily available for these cars, but the effort simply wasn’t made. A stitched leather (or vinyl) dash is a handsome upgrade for the Z driver who doesn’t care about authenticity, and to be fair, keeping tabs on the engine via the extra gauges is probably a bigger priority. 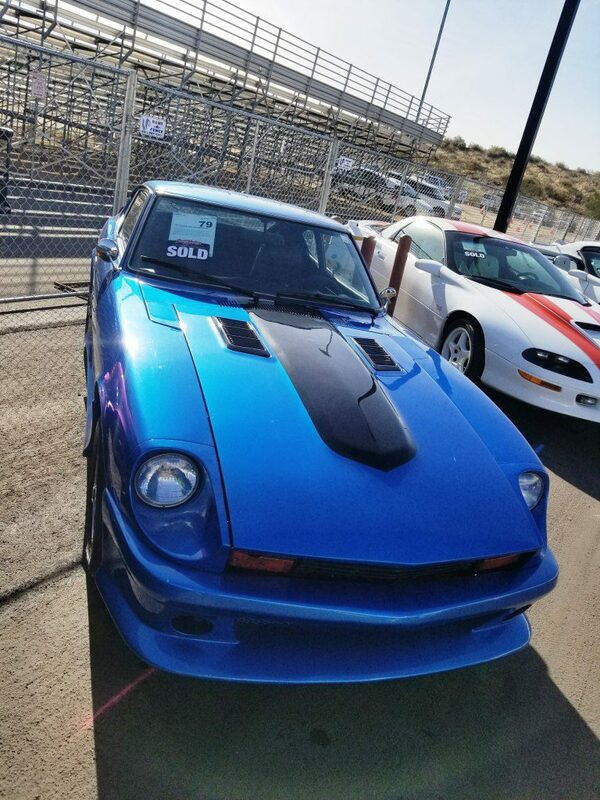 I’m going to go out on a limb and say that even though a V8 swap isn’t a cheap undertaking, the seller still got the better end of the deal here: Sold at $16,500.00.